Heavy Duty Linear Actuators and Ball Screw Actuators with Stroke 12v, 36v inch - Venture Mfg Co.
Industrial automation and motion control are in high demand. Industries such as military, agriculture, construction, material handling, mining, and construction, require fast, precise, and durable linear motion products. Venture Mfg. Co. understands the continually growing automation requirements of industries. 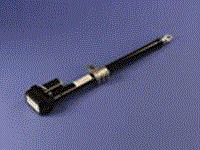 We provide heavy duty linear actuators 12v to support industrial applications. They provide efficiency in terms of position accuracy. Versatile as they can be used with electric as well as stepper motors. Electric brake eliminates any possibility of back-drive. Resistance to corrosion, vibrations, and extreme temperatures. 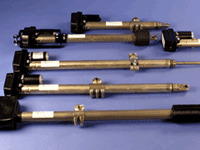 Throughout its service life, the actuator does not require regular maintenance. Has the capability to perform continuous duty cycles. They can be used in environments where the actuator will be exposed to contaminants such as slush, mud, snow, water, sand, etc. Digital position feedback enhances the accuracy and successful use of the product. 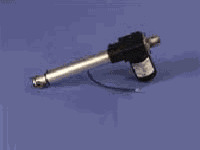 Contamination Free: The actuator is enclosed in a stainless steel casing. This ensures contamination prevention from industrial and environmental elements. Efficient Motion: The in-line DC motor allows for smooth linear motion. Sudden thrusts at high speeds can also be achieved. 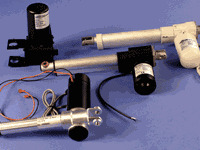 We can also provide the actuators with AC motors. Installation Versatility: Venture actuators can be installed either as a stand-alone system, or as a part of a larger machine. 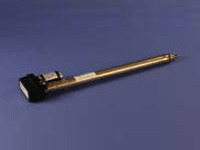 Good Replacement: Our heavy durty dc linear actuators can serve as optimum replacements for other motion products such as cams, linkages, levers, and hydraulic and pneumatic actuators. Supportive Equipment: The actuators are provided with adjustable controls and limit switches. The linear tracks are made from stainless steel materials, ensuring the efficacy of the actuator during operation. Venture. Mfg. Co.’s durable heavy duty linear actuators 24v provide quality solutions to support applications in medical, manufacturing,satellite, automotive and automation industries.